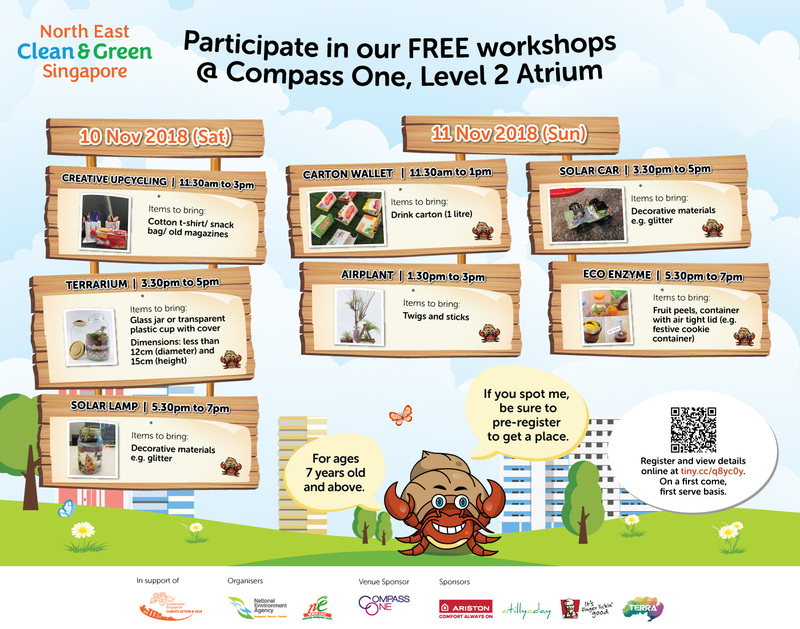 The Clean and Green Singapore Carnival 2018 (North East) is happening at Compass One on 10-11 November 2018! 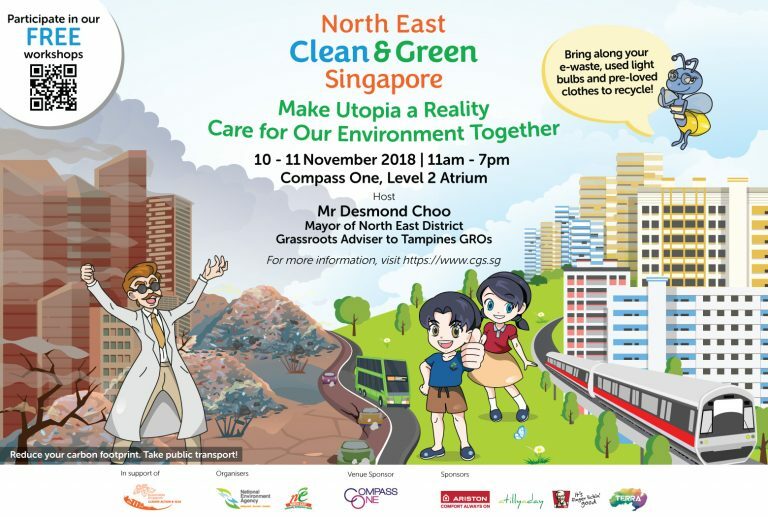 Come along with your family and friends for a fun day learning all about a clean and green lifestyle. Take part in a wide range of eco workshops (available from 8 November 2018 onwards) and exciting activities with prizes to be won. Do bring along your pre-loved clothes for recycling at our carnival.